Tonight’s full moon is in the sign of Aries. With the energy of the full moon added to Aries’ enthusiasm, you might find yourself acting a bit more impulsively than usual. If you’ve been neglecting your fitness routine, it’s time to brush off your sneakers, because you’ve got to do something with all that active energy. With extra creative spark, the furniture might need to be rearranged or you may find yourself itching to start a renovation project. A full moon is a powerful time for any kind of magickal workings. 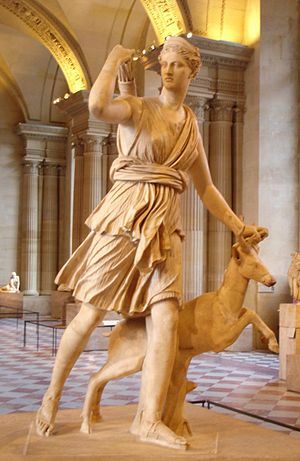 Aries will give even more oomph to spells for leadership, spiritual rededications or conversions, and will power. Healing spells for the face, head and brain will work best now. 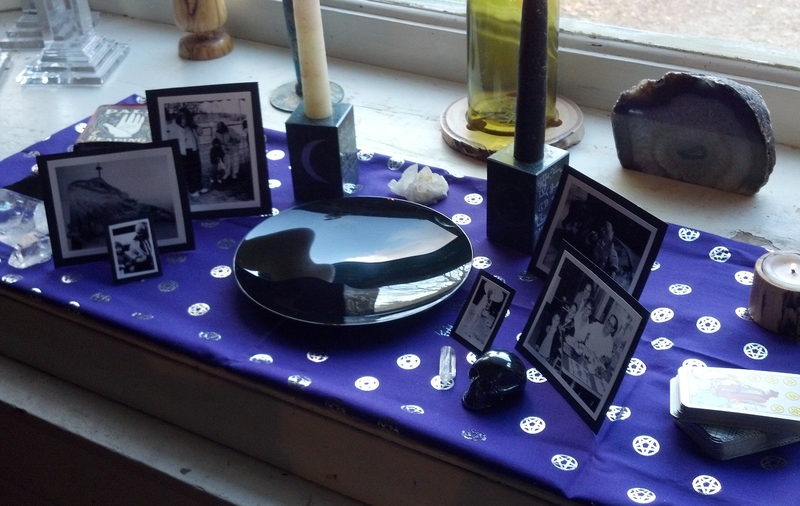 Psychic energy is strong during a full moon, therefore it’s a good time for divination. 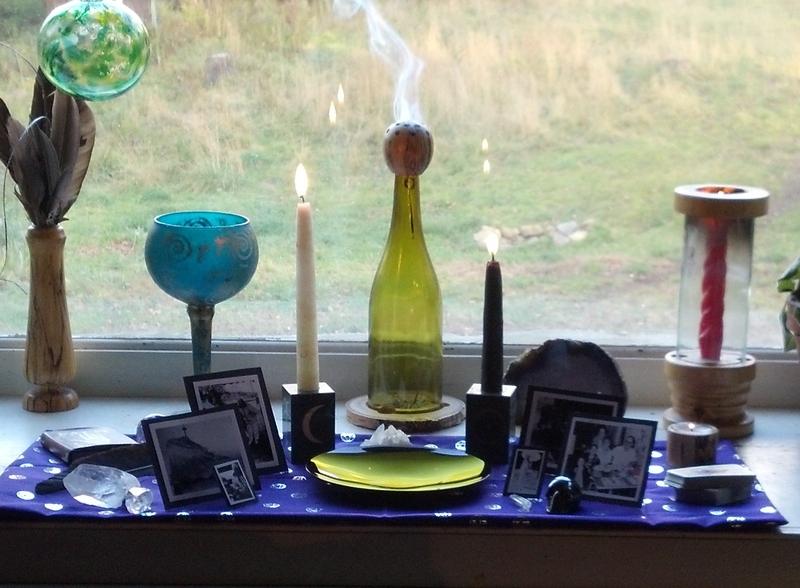 October’s full moon is an especially good time, as it is almost Samhain and the veil between worlds is thin now. Grab your tarot cards, rune stones, pendulum or other favorite divination tool to gain some insight into the year ahead. Temper the Aries impulsiveness with some careful planning for any spell you will do during this full moon. With so much strength behind it, full moon magick needs very specific intentions to keep it from going awry. 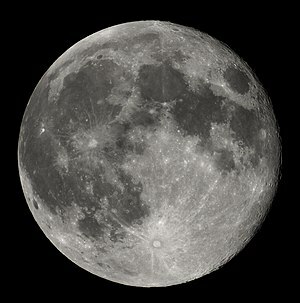 If it’s a clear night, go outside and spend a few minutes bathing in moonlight. Last night’s new moon marked the beginning of the Celtic month of ivy. The Ogham (Celtic tree alphabet) name is Gort (go-ert). This powerful evergreen teaches us about strength and endurance, death and immortality. Ivy’s strong shoots take hold in the smallest of cracks and hang on. 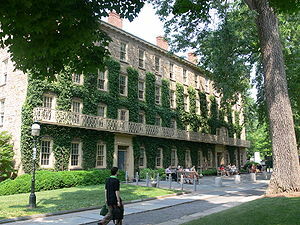 The plant is known for covering the bricks of America’s oldest and most revered universities (the “Ivy League”). It frustrates homeowners by opening cracks in mortar and loosening bricks while it climbs high. Ivy climbs the bark of trees, often taking over the entire plant, causing its death. The ivy, rooted in the earth, survives even long after its host has died, reminding us that life goes on. A poultice made from ivy is said to steady the nerves. The new moon is the time to begin things. It’s effects will be more powerful in the time of ivy, with its emphasis on resilience and rebirth. We’ve had a strange growing season in the Adirondacks. Seedlings paused their growth when temperatures dropped in May and June and everything is late. My morning glories were straggly vines all summer, only to bloom beautifully in September. They are still blooming against the backdrop of autumn leaves. For some reason every grasshopper in the area migrated to my yard and decimated the herb and vegetable beds. One day I had the nicest broccoli crowns I’d ever grown, the next day, sticks. Newly planted mint, which I expected to take over the bed by summer’s end, struggled to survive the onslaught of hungry insects. In the end, it was a poor year. I’ve read that, here in the north, you can tell when to plant garlic by looking to the mountains. When they explode with color, it’s time. Last weekend the mountains said plant, so I did. 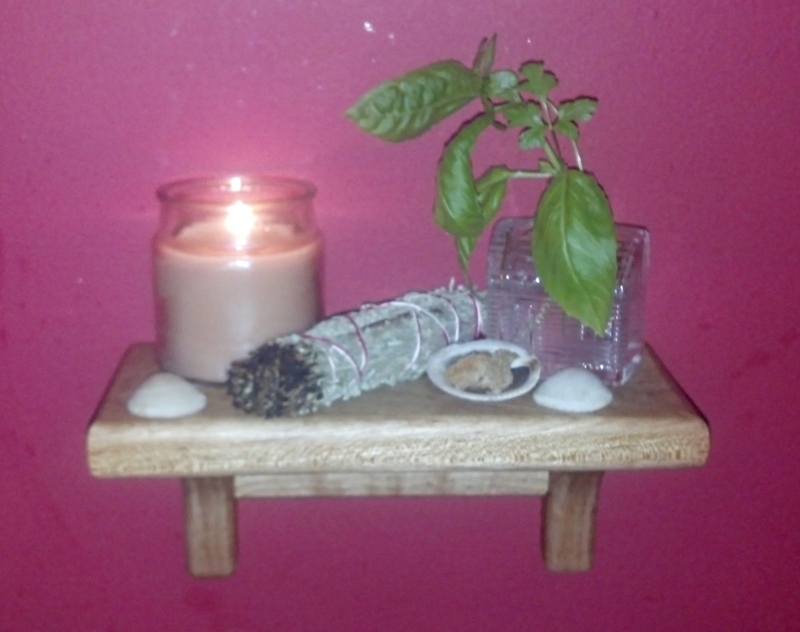 The sage and oregano, probably because they were older, established plants, managed to survive the grasshoppers. Despite the beautiful fall weather, I know it’s time to prepare the plants for winter. 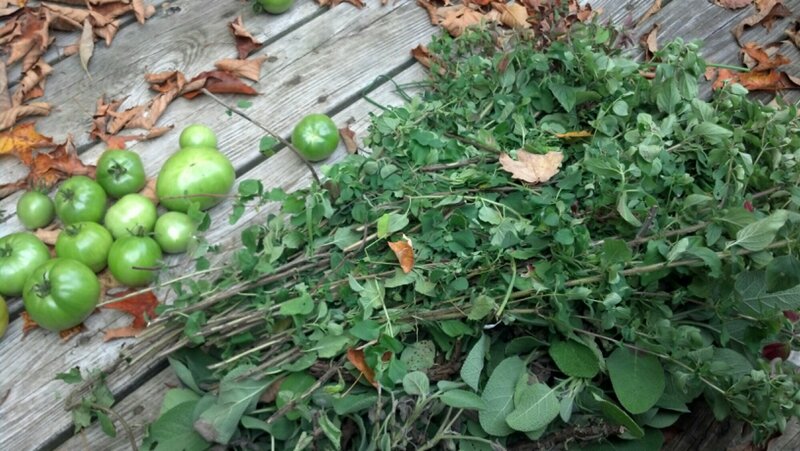 I cut them back, harvesting plenty to dry for use over the winter. Giving up on the tomatoes ever ripening on the vine, I grabbed those as well, wrapped them in newspaper and tucked them into a paper bag to see if they would turn red. There were plenty of chives. 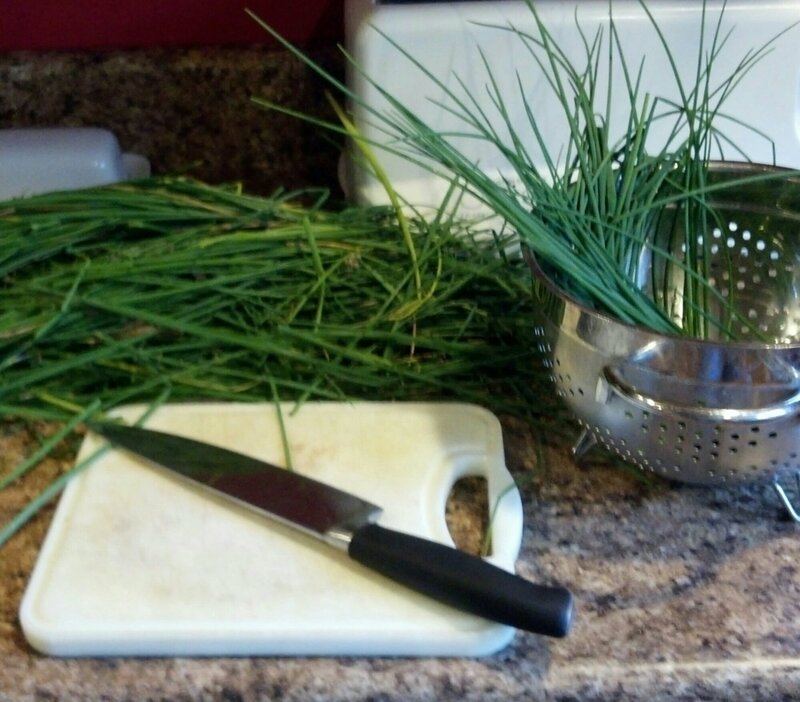 There are always plenty of chives. (Why does nothing eat chives?) I chopped them and filled the dehydrator. In about two hours they had dried and we have more than enough to last until spring. 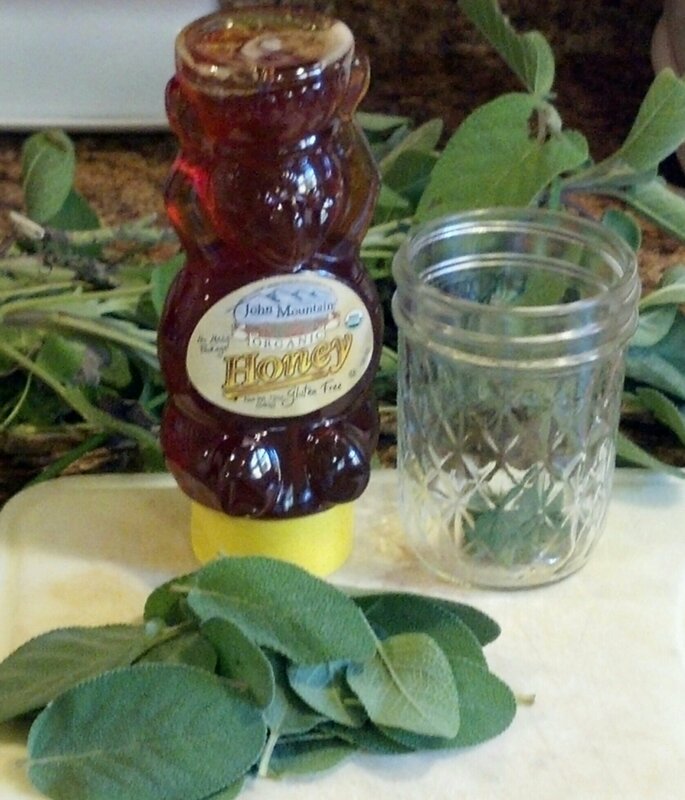 Cold and flu season is on it’s way, so I prepared some sage-infused honey, my favorite sore throat remedy. 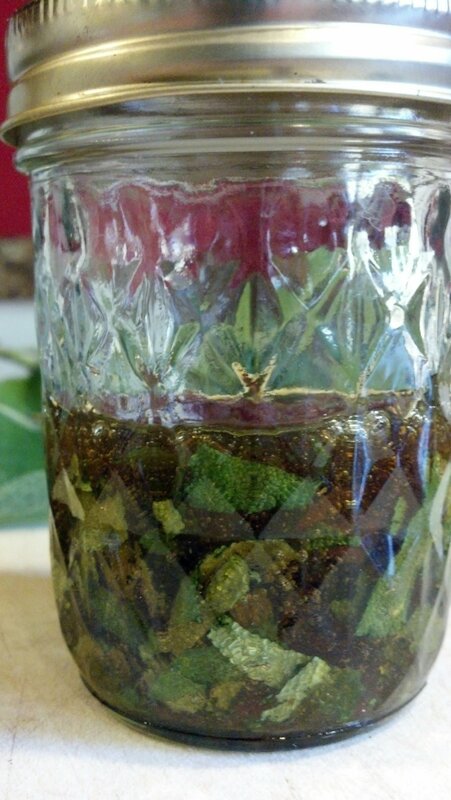 I cut some leaves and put them in the bottom of a small jar, then poured honey in until the leaves were completely covered. I mashed them against the bottom of the jar with a chopstick until all the air was out and the leaves were somewhat crushed and completely coated with honey. Then I capped the jar and stored it in the dark corner of a cabinet. 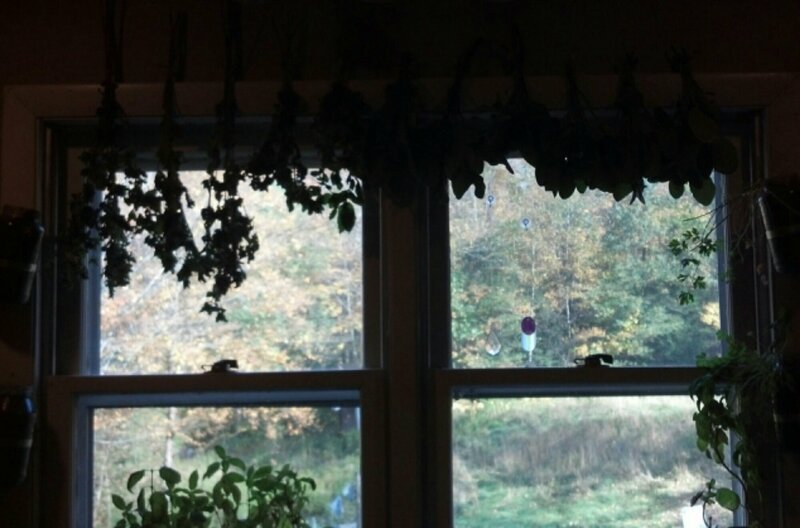 Bunches of sage, oregano and the little bit of mint I could take are hanging over my kitchen window to air dry. The smell is divine.